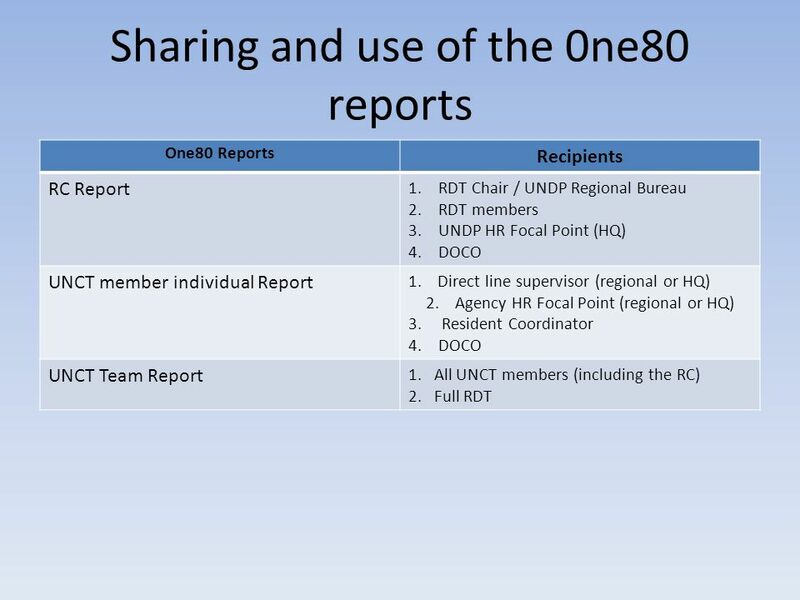 RDT Capacity Assessment Report. 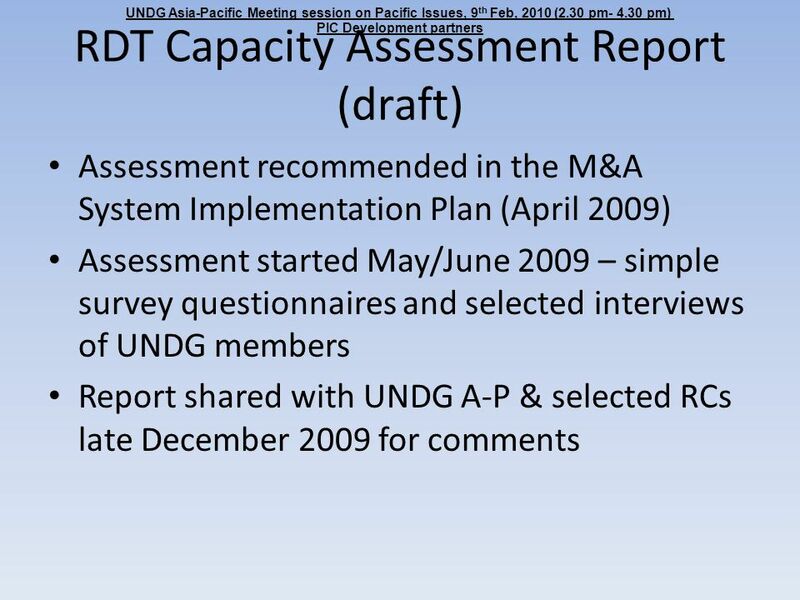 RDT Capacity Assessment Report (draft) Assessment recommended in the M&A System Implementation Plan (April 2009) Assessment. 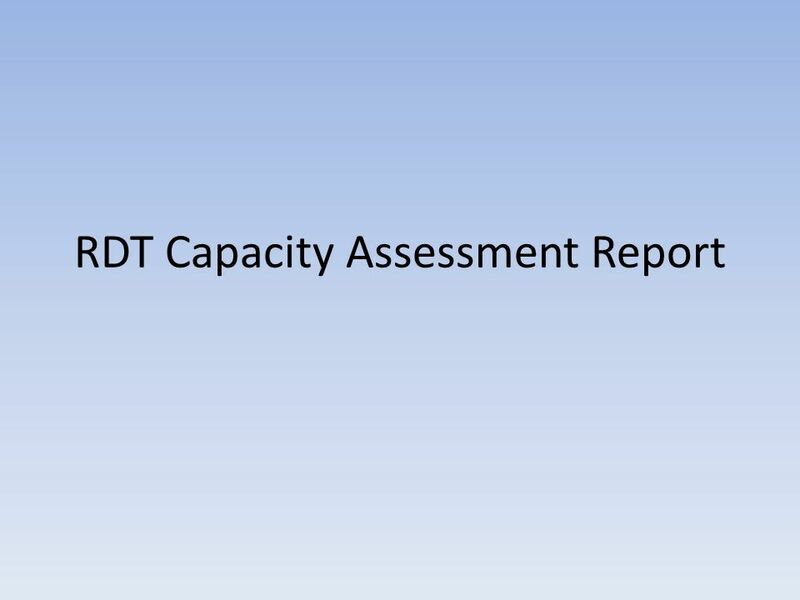 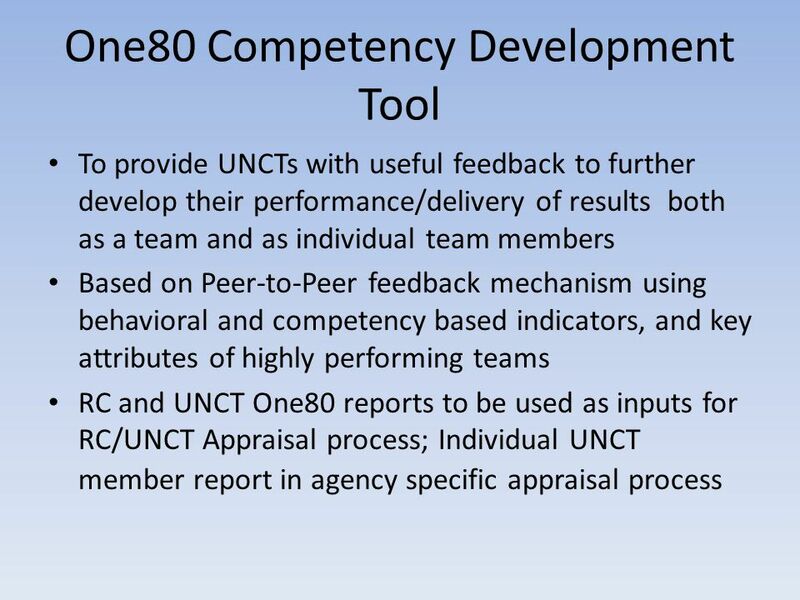 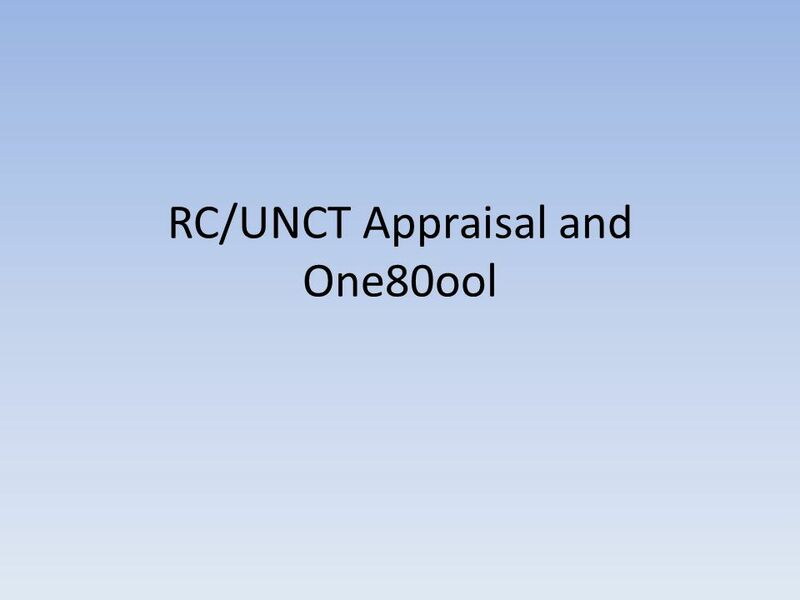 Download ppt "RDT Capacity Assessment Report. 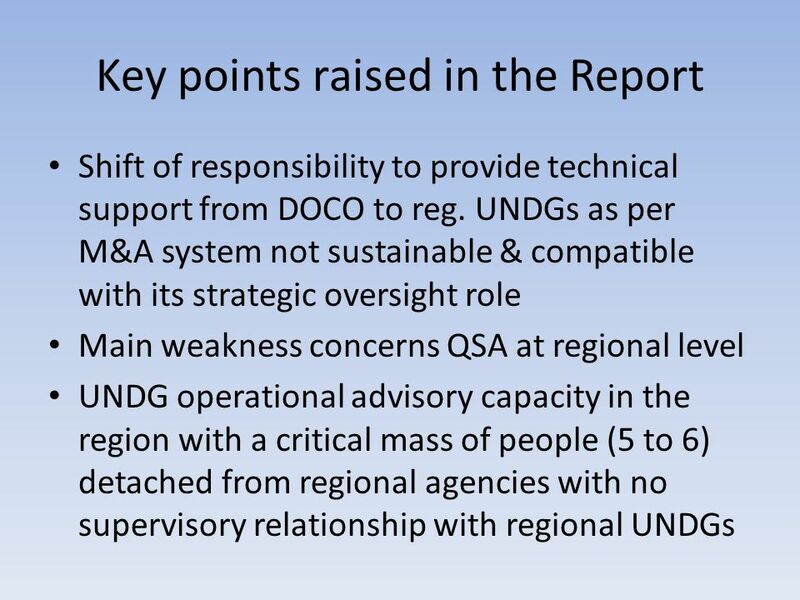 RDT Capacity Assessment Report (draft) Assessment recommended in the M&A System Implementation Plan (April 2009) Assessment." 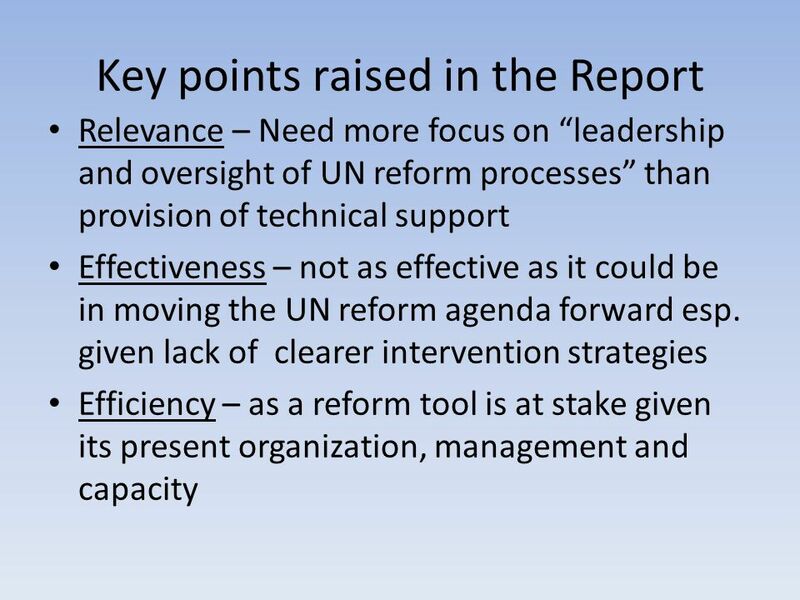 Overview of United Nations Reform II: System-wide coherence in UN development activities New York, 4 November 2011 UNITAR Workshop Navid Hanif, Acting. 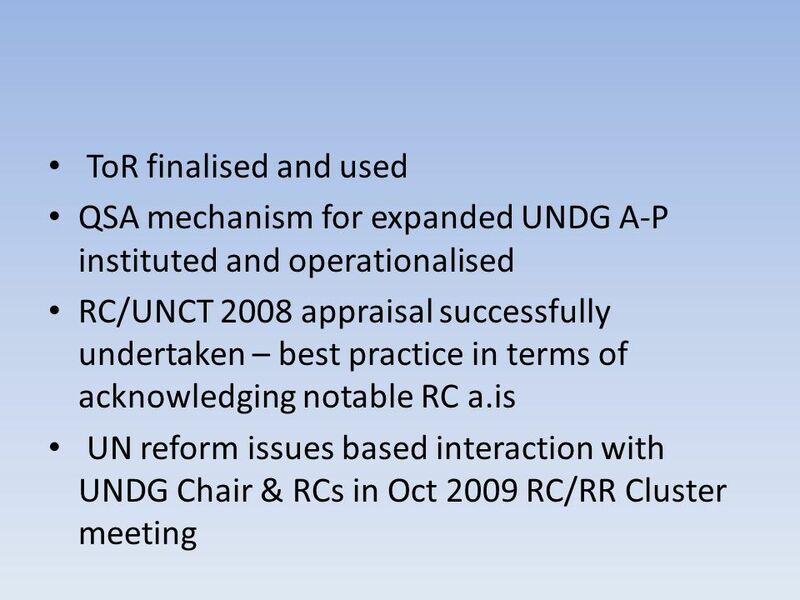 Expansion of Common Services Presentation to the UNDG Management Group 17 December 2003.
Business Plan for Implementation of Common Services Middle East and North Africa Region. 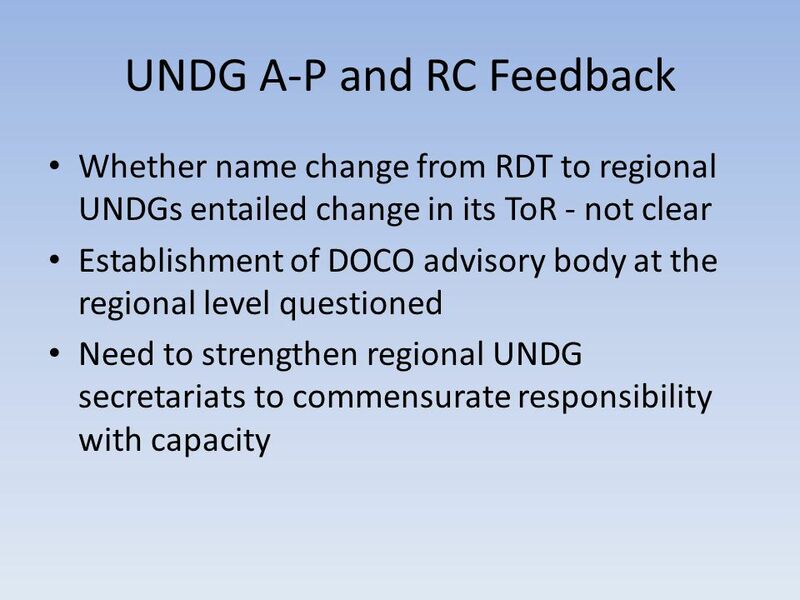 Turin, Nov 2009ToT on Integrating DRR into the CCA UNDAF1 Integrating DRR into the CCA and UNDAF Integrating DRR into the CCA and UNDAF An Introduction. 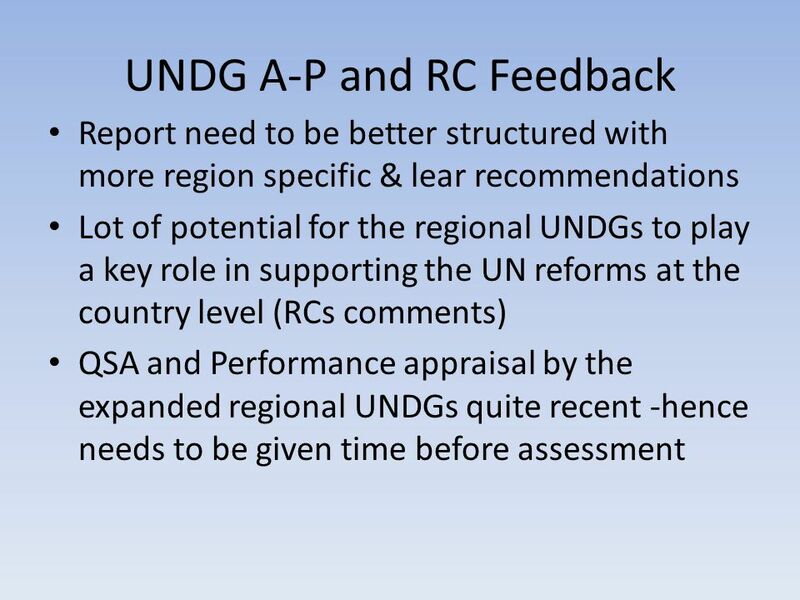 Delivering as One Viet Nam Country-led Evaluation Kigali, 20 October 2009. 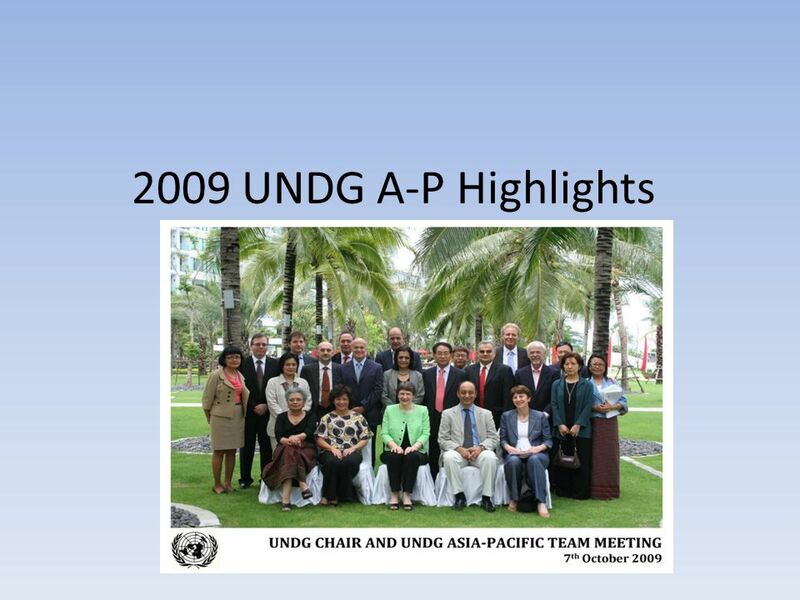 EXPANDED DELIVERING AS ONE FUNDING WINDOW FOR ACHIEVEMENT OF MDGs UN DOCO, June 2009. 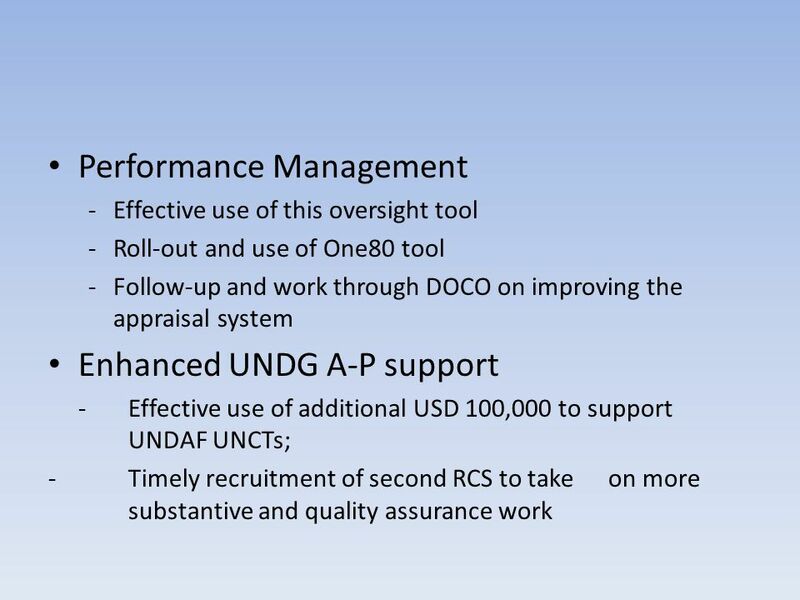 Integrated Approach to Programme and Operations Strategic Planning in a Challenging Aid Environment. 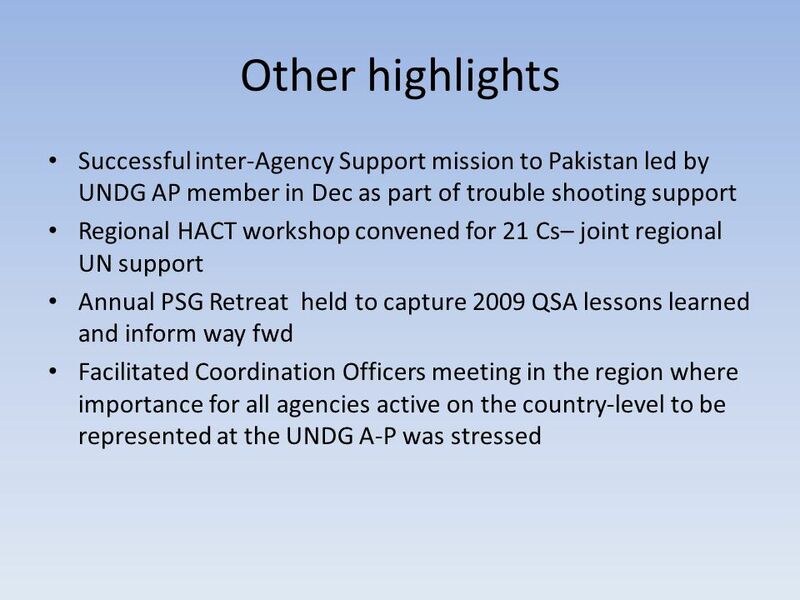 “ONE UN”: Delivering as One at the Country Level. 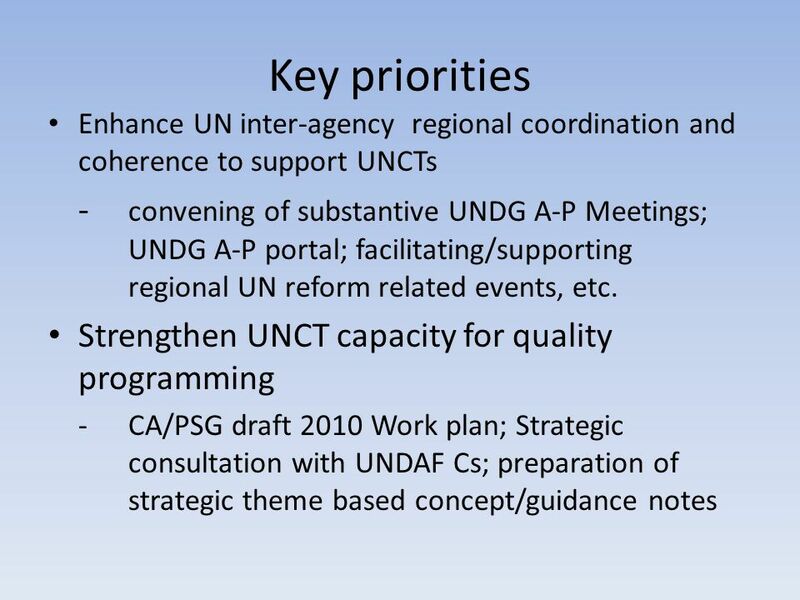 Global Task Team: Improving AIDS Coordination Among Multilateral Institutions and International Donors Briefing for Theme Group on HIV/AIDS 1 November.